ORRVILLE, Ohio, Nov. 13, 2018 /PRNewswire/ -- Jif® is thrilled to continue its support of kids with creative passions and entrepreneurial ideas that help build a better future for all. Today, Jif is announcing the grand prize winner of the "Imagine If, With Jif" Contest – a program with a mission to nourish kids' potential and fuel their imaginations to spread more love into the world. Now in its second year, the grand prize winner of the "Imagine If, With Jif" Contest is 11-year-old Elena Gallegos from Corona, Calif. Elena's inspiring Unicorn Kids business, which raises awareness for kids with food allergies, was the most creative and feasible idea this year and aligned with Jif brand's mission to empower parents and kids to make the world a better place. She'll receive a $15,000 grant to help continue supporting and inspiring kids with food allergies and help them navigate life. Unicorn Kids design one-of-a-kind t-shirts for kids with food allergies to promote food allergy safety. You can view Elena's video submission here. "We love that Elena and her Unicorn Kids business is focused on education and reducing the stigma kids with allergies feel," said Tina Floyd, Senior Vice President and General Manager, Consumer Food. "As one of the world's largest peanut butter makers, we know that food allergies are a prevalent topic for parents as they send their kids off to school or over to a friend's house, and we want to open a dialogue to better educate and nourish families – all families – especially those with kids who have food allergies." 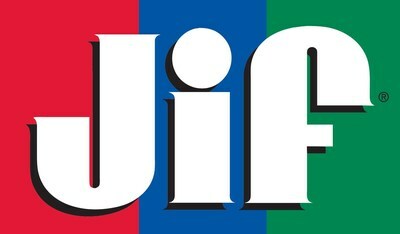 Jif has long partnered with the National Peanut Board, supporting peanut research and education initiatives. Part of their work focuses on peanut allergy awareness and education, including resources for parents, educators and anyone who cares for children. Families with nut allergen concerns can find out more on allergy resources at the National Peanut Board's website www.peanutallergyfacts.org, or more about the National Peanut Board's health and nutrition research by visiting www.nationalpeanutboard.org. In its first year, the 'Imagine If, With Jif' Contest named eight-year-old Charlotte Gould as the grand prize winner. Charlotte's nonprofit, "Stiches by Charlotte" creates personalized dolls for children undergoing medical procedures, and proves that great things happen when we support kids' creative ideas. This young entrepreneur continues to pursue her dreams of making the world a better place, as she recently announced a brand-new line of surgery companion dolls. For more information about Jif, the "Imagine If, With Jif" Contest and Jif products and recipes, visit jif.com/imagine-if and the Jif Facebook, Twitter and Instagram social media channels.